Space Operetta: Chase across the galaxy as Kat and Black Hawk Dodge the Emperor's Troops. Romp through space with fast-paced action, mystery, humor and romance. Interstellar spy and expert code thief, Grey Kat, is captured by the enigmatic Black Hawk, renegade captain of the Rogue Star, who terrorizes the Emperor’s spaceships. He wears black, exposing only his fierce green eyes. Kat is housed in the cabin of his wife, who died under mysterious circumstances. Captain Hawk persuades Kat to assist in his next piracy attempt, which plunges them into a series of comic misadventures as they frantically dodge pursuit, crashing through several ships and different planets. Follow their adventures from Hassam port via the dock on a small planetoid to the remote planet of Ulverkop. How will they evade the Emperor’s troops? 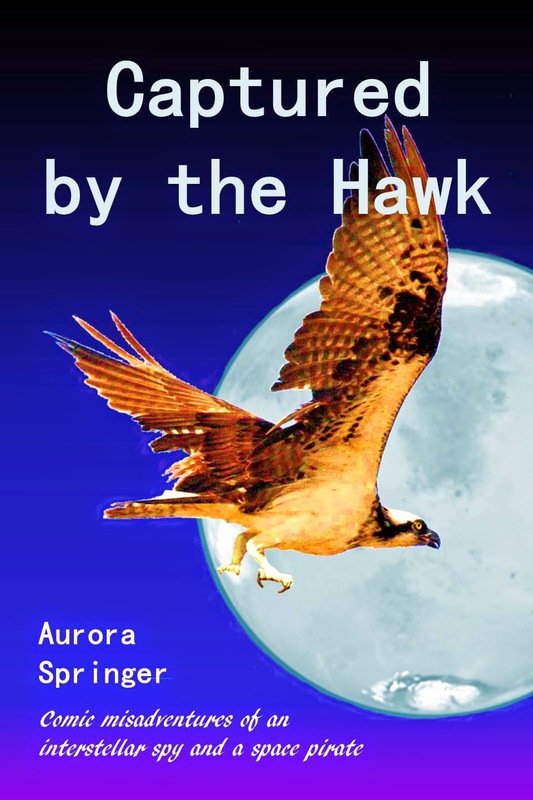 Will Kat discover the secrets of the mysterious Black Hawk before she suffers the fate of his unfortunate ex-wife? Can she ever resume her true identity as the wealthy Mistress Trina Sligo and wed the Emperor’s son?